A light texture and striking design are the main features of the Golf collection. Modern, colourful and ergonomic shapes make for a feeling of elegance and lightness, Golf conveys an atmosphere of relaxation and fun in every setting. 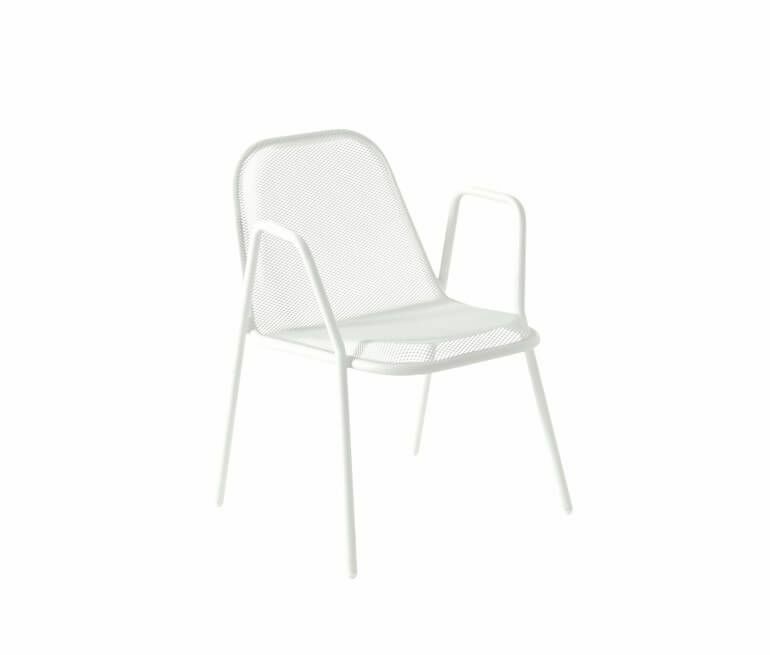 Thanks to its refined design and comfort, Golf is a very versatile chair that can fit both into residential and contract environments. Golf is elegant, resistant and practical, and is extremely versatile to use. Samuel Wilkinson set up his industrial studio at the end of 2007 and a year later, in 2008, Wilkinson completed his largest work, co-designing L’arbre de Flonville in Lausanne, Switzerland. It was the first of a series of large projects to be completed as part of the regeneration of industrial area, Le Flon. The work consists of a contemporary town square featuring a 16m sculptural metal tree surrounded by root benches that sit on a red rubber floor. Samuel’s recent designs of the Plumen 001 light bulb and the hand blown glass lamps ‘Vessel Series’ for Decode London have won international acclaim. Plumen 001 collected the grand prize from the London Design Museum of ‘2011 Design of the Year’ and the highly coveted ‘Black pencil’ from the D&AD. The studio’s work diversifies across various disciplines from consumer products to public realm. Samuel Wilkinson’s commitment and enthusiasm to designing interesting objects and spaces is apparent in his work, always looking to add a fresh dynamic approach in either form or function.